Have You Seen JEROLD C. DUNNING ? Jerold Chester Dunning, Chester Dunning, Jerry Dunning, C. J. Dunning, J. R. Dunning, Junior Dunning, Jerold Chester Dunning, Jr.
Scars and Marks: Dunning has a scar above his left eye. Dunning enjoys outdoor activities such as, four wheeling, camping, fishing, and skiing (water/snow). He owns several guns for recreational purposes. Reportedly, he has never been violent. Dunning has ties to Florida and Tennessee. Jerold C. Dunning is wanted for his alleged involvement in lewd activities with a child under the age of 16, in St. Petersburg, Florida from 1996 to 1998. Dunning was arrested on October 14, 1998, and subsequently released on bond. His trial was scheduled for June 29, 1999, but he failed to appear in court. Dunning was charged with lewd and lascivious behavior upon a child, and a state warrant was issued for his arrest by the Circuit Court, Pinnellas County, Florida on June 29, 1999. A federal warrant was issued subsequently by the United States District Court, Middle District of Florida, after Dunning was charged with unlawful flight to avoid prosecution. For more information on The FBI's Most Wanted Fugitives click Here. Circumstances: Ms. Smith has tattoos on her back, stomach and right foot. She was last seen wearing red/pink pajamas. She left without her purse and identification and also left behind her two small children. For more information on Amber click Here. This is a document published by The Office of Juvenile Justice and Delinquency Prevention. This is information that everyone should have. We, along with OJJDP encourage you to print or copy this and distribute it wherever you can. We have the complete guide posted. It is highly recommended that every parent have a copy of this guide. Even though you may never use it, someone you know and love may need it. The guide is located Here. Where is Julie “Michelle” Bullard? DATE and Time: Sat. and Sun., Feb. 11 & 12, 2006 - Buffalo Lakes, NC Registration starts at 8:00 a.m. Search starts at 9:00 a.m. LOCATION: Main Headquarters Buffalo Lakes Club House Vic Keith Rd. Harnett County, NC Half way between Sanford and Spring Lake, NC on Hwy. 87. From Hwy. 87 turn onto Buffalo Lakes Rd. (east of Hwy. 87), Travel 2 miles (will pass Carolina Lakes) to Vic Keith Rd., Turn Right and travel .3 miles. Club House is on the Left. 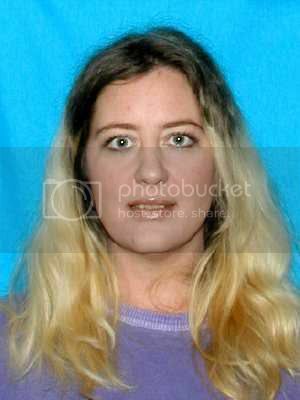 Missing You Foundation will be coordinating a two day search in an effort to locate Julie “Michelle” Bullard who became missing on January 2, 2006. Anyone willing and able to assist in this search are asked to sign in at the MYF Command Center located at the Buffalo Lakes Club House in Harnett County, NC. Foot searchers, 4-wheelers and water searchers will meet at the Buffalo Lakes Club House. All horseback searchers will report directly to the Staging Area located on Ft. Bragg. Vans, trucks or buses are needed to help shuttle foot searchers to search areas. Volunteers are needed to help register searchers. Food and drinks are also needed to help nourish the searchers. Please be prepared for cold and/or damp weather. HORSEBACK SEARCHERS will meet at a STAGING AREA located on Ft. Bragg property known as “Over Hills Northern Training Area”: North of Spring Lake, NC, on Hwy. 87, turn Right (east) on Nursery Rd., travel approximately 3/4 miles and take the first dirt road to the Right. Follow the dirt road inland to a large horse barn. Report to: BILLY TULLOCH, Equestrian Search Operations Leader, (919) 235-5385. Go to www.NCHorseNews.com for all search updates. Arrangements have been made for overnight camping for horseback riders to stay with their horse and trailers behind Cagle Furniture Company, located two traffic lights North of the Nursery Rd. and Hwy. 87 intersection. This is the largest search effort to date and we ask that the media assist us in announcing to the public that searchers are needed to help locate Julie “Michelle Bullard”. Thank you in advance for all assistance in doing your part and helping to locate Michelle. For more information on Julie’s Disappearance click Here. Five days after a nationwide child abduction alert was sounded, a 31/2 year old Aberdeen boy, Tyler Siquiedo, was safely turned over to Grays Harbor Sheriffs deputies Tuesday night. Tyler’s father, Jesse Vaidabid, allegedly ran off with him in November of 2005. Police and Tyler’s mother, Kristin Lipp, had spoken with Vaidabid several times on his cell phone and urged him to return the boy. Vaidabid had agreed to bring Tyler to the Grays Harbor Sheriffs Office in Montesano Monday morning, but failed to show up, according to Aberdeen Police. When he finally arrived on Tuesday, Tyler appeared to be in good health, Aberdeen Police said. He was taken into protective custody and placed with Child Protective Services. Vaidabid was wanted on a $10,000 felony warrant for custodial interference and was arrested. Though Lipp was Tyler’s sole guardian, she gave Vaidabid temporary custody of their son in November. After he allegedly refused to return Tyler, she contacted police. On Monday, the U.S. Marshals Service joined the Aberdeen Police in the search for Tyler. The next morning, several deputy marshals arrived in Albany, Ore., where Vaidabid was believed to staying. Aberdeen police say the efforts of the Marshals Service and Vaidabid’s family persuaded him to surrender. Circumstances: The grandmother took the child. Poster and Updates Available Here.